Do volcanoes really emit more CO2 than humans? No matter how you look at it, even during massive eruptions, mankind still emits much more carbon dioxide than volcanoes. In total, volcanoes barely emit 1% of mankind’s emissions. By itself, the US emits ten times more CO2 than volcanoes do. Atmospheric CO2 levels measured at Mauna Loa observatory in Hawaii (NOAA) and Stratospheric Aerosol Optical Thickness at 50nm (NASA GISS). There’s a big disparity between what scientists know about climate change and how the media presents the situation. Perhaps not surprisingly in this situation, numerous nonscientific or outright false arguments have made their way into the discourse. 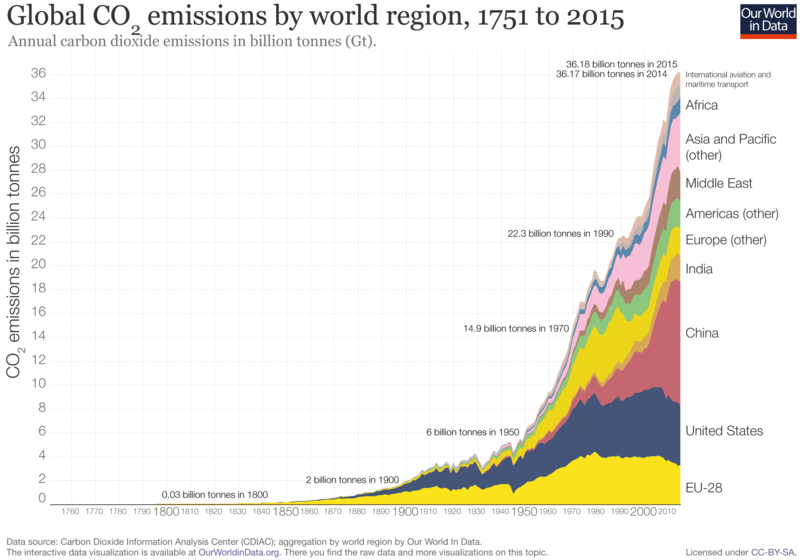 Among them, there’s this idea that mankind’s emission just don’t matter — volcanoes output so much CO2, some people say, it massively overshadows everything we do. Let’s see what the data says. The United States Geological Survey (USGS), alongside several other similar organizations, monitors volcanic emissions. According to their data, volcanoes (both land and underwater volcanoes) emit 200 million tons of carbon dioxide (CO2) annually. Of course, it’s not exactly a linear figure and major eruptions can bring dramatic changes. Volcano eruptions can change a lot of things, but they’re not responsible for climate change. Image credits: Christina Neal, AVO/USGS. The eruption of Mount Pinatubo, for instance, brought vast changes to the atmosphere. It ejected roughly 10 billion tonnes of magma, bringing vast quantities of minerals, toxic metals, and of course, greenhouse gases. It spewed more aerosols than any eruption since Krakatoa in 1883. By the time it was all finished, 42 million tonnes of CO2 were ejected into this atmosphere. But even with this eruption, volcanic activity didn’t match human activity. Ironically, aerosols from Pinatubo’s eruption formed a layer which dropped global temperatures by about 0.5 °C (0.9 °F) in the years 1991–93. The data from the British Geological Survey, the British equivalent of the USGS, is quite different. Their estimations claim that volcanoes emit 300 million tonnes CO2 on an average year. This is, as far as we could find, the higher estimation for volcanic CO2. However, that is also not even close to the anthropic contribution. While estimates for volcanic CO2 vary mostly between 200 and 300 million tons, our own CO2 emissions range around 24 billion tons — and that figure speaks for itself. No matter how you look at it, 2.4 gigatons are much more than 0.3. Mankind’s activity dwarfs the of volcanoes, and our emissions are constantly growing, year after year. As volcanologists emphasize, it doesn’t even make much sense to compare the two. 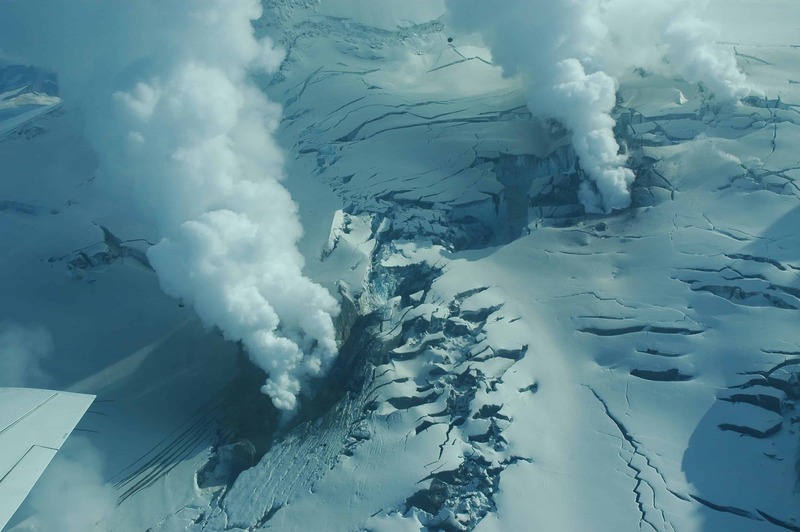 “In fact, present-day volcanoes emit relatively modest amounts of CO2, about as much annually as states like Florida, Michigan, and Ohio,” writes USGS scientist Terrence M. Gerlach. “Anthropogenic CO2 emissions—responsible for a projected 35 gigatons of CO2 in 2010 [a figure that has grown significantly since] — clearly dwarf all estimates of the annual present-day global volcanic CO2 emission rate. Indeed, volcanoes emit significantly less CO2 than land use changes (3.4 gigatons per year), light-duty vehicles (3.0 gigatons per year, mainly cars and pickup trucks), or cement production (1.4 gigatons per year). In case you’re wondering, there’s really not a lot of uncertainty around this. If volcanoes would be the driving factor of the atmospheric CO2 rise, we would see a correlation between volcanic eruptions and this steep rise in CO2 — and we don’t. Furthermore, a global volcanic CO2 output exceeding 35 gigatons per year would mean that the annual mass of volcanic CO2 is more than 3 times greater than the mass of erupted magma (~10.8 gigatons per year), and that’s simply not believable. Lastly, even if these estimates are a bit off, and even if they are way off, there’s still no term of comparison between volcanic and human CO2 emissions. CO2 is a greenhouse gas and it is the main culprit we blamed for climate change. Volcanoes emit a significant amount of carbon dioxide into the atmosphere, but nowhere near what humans emit. We know this with a great degree of certainty.